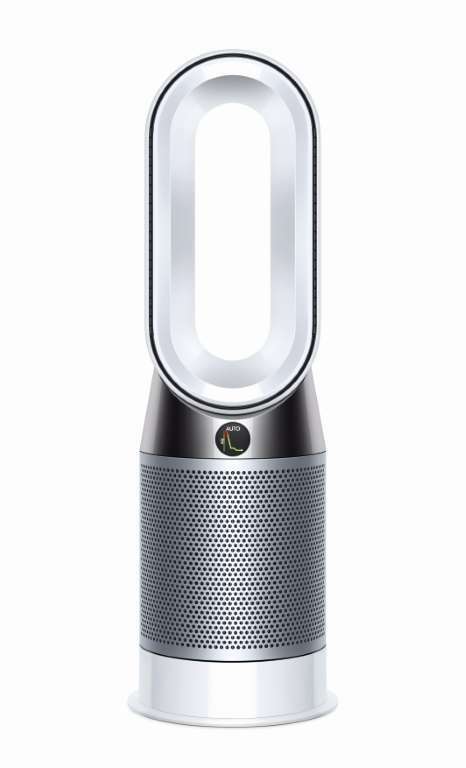 Today Dyson launched a new purifying fan + heater uniquely engineered for year-round, whole room purification: the new Dyson Pure Hot+Cool™. It delivers fast and even room heating in winter, powerful personal cooling in summer and efficient purification through all seasons. 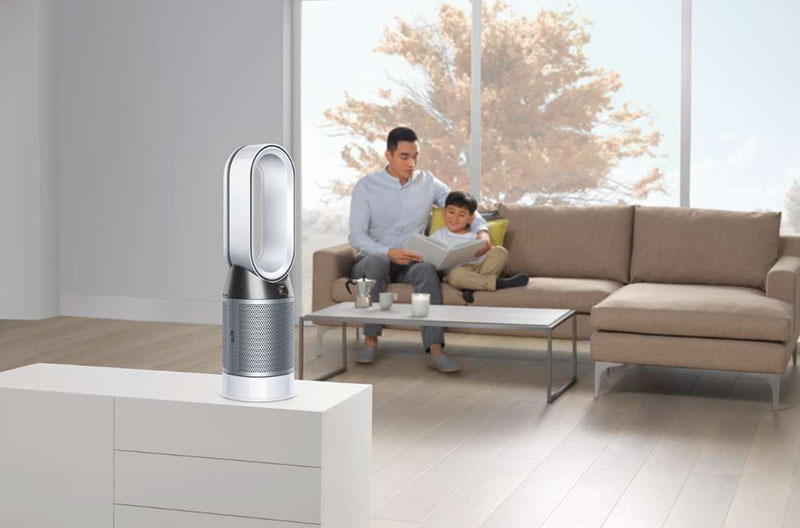 The machine automatically detects airbourne particles and gases, and simultaneously reports this information via a new LCD screen on the machine and the Dyson Link app in real time, encouraging wellbeing and maintaining comfort levels in the home. Every day we can breathe in up to 9,000 liters of air. We spend up to 90% of our time indoors, meaning most of the air we breathe is indoor air. While polluted outdoor air is something many people are aware of, indoor air pollution can be unknown or overlooked. Indoor pollution can come from outside when we open the windows or doors, but it can also be produced from everyday objects and activities in our home. In fact, a study recently published by Science revealed that common household items such as soap and cosmetics can cause as much pollution as cars. As modern homes are becoming better sealed to comply with energy efficiency requirements, those pollutants can be trapped inside and air circulation can be compromised, especially in winter. The new Dyson Pure Hot+Cool™ purifying fan + heater targets these sources of pollution and works to automatically capture them, and project cleaner air around the room. Sensing: A new LCD screen shows the particles and gases the Dyson Pure Hot+Cool™ purifying fan + heater is automatically sensing in real time using a unique Dyson algorithm. Lasers measure and identify fine particles. Another sensor detects the amount of VOCs, such as benzene and formaldehyde, and NO2 (Nitrogen Dioxide) present. And yet another measures relative humidity and temperature. Capturing: Dyson engineers have incorporated 60% more HEPA media into a taller and deeper HEPA filter, and they’ve introduced three times more activated carbon than the original Dyson Pure Hot+Cool Link, meaning the new filter can absorb more gases, odors, domestic fumes and VOCs. The machine’s sealed HEPA filter captures 99.97% of particle pollution as small as 0.3 microns, including allergens, bacteria, pollen, and mold spores. Activated carbon filters, which have been coated with Tris (Trishydroxymethylaminomethane) to increase their absorption efficiency, remove gases including NO2, formaldehyde, and benzene. Projecting: Only Dyson purifying fans and heaters have Air Multiplier™ technology and 350° oscillation to project air around the whole room. Dyson engineers tested the machine using a moveable 3D rig fitted with velocity probes to measure air force at different levels within the room. Using this data, we made numerous iterations of our air apertures to make sure that our machine circulates the air effectively for whole and even room purification. Heating: To deliver better heating performance, Dyson engineers optimized the air amplifier geometry to balance room mixing and tested 80 different heating configurations of the heating element to find the most suitable combination. With thermostat heat control, the machine automatically keeps your room at the target temperature. The heating function will switch to stand-by mode once the target is reached and will switch back on once it senses a drop in the temperature. Engineered for real homes: Industry standard purifier tests are conducted in small chambers with a ceiling fan and only one sensor, which is not representative of actual living room environments. Dyson engineers went beyond industry tests to develop the POLAR test based on a bigger room size, with no added ceiling fan. Eight sensors in the corners of the room and one sensor in the center collect air quality data every five seconds, detecting particles of indoor air pollution that are 300 times narrower than a human hair. Analyzing the data across all nine sensors allows Dyson engineers to ensure the Dyson Pure Hot+Cool™ purifying fan + heater delivers uniform cleaning performance throughout the whole room. Fan mode: To maintain airflow projection out the front of the machine, a baffle in the amplifier stays in place to deliver a powerful, frontward stream of purified air. This can cool you down in the summer and heat you in the winter, while simultaneously purifying the room. Backward airflow mode: In backward airflow mode, the baffle moves to block the front aperture, diverting air through the rear of the annular loop at a 45⁰ angle. Because the aperture is wider, this creates a more diffused airflow, uses less energy, generates less noise and purification effectiveness is maintained. Dyson Link app4: Available for iOS and Android, the Dyson Link app enables you to track indoor and outdoor pollution, temperature, and humidity levels. You can also use it to see how many hours of filter life you have left. The new machines come with full Over the Air Update Capability (OTA) – meaning Dyson product owners can continue to get the most advanced Dyson software even after purchasing the machine. Next articleEverything is coming up coral in 2019!